Other Names: Squire Dundee, Sir William Dundee, "Superstar"
- AWA Southern Tag-Team Title Tournament (March 14, '77) = Dundee & Rocky Johnson lost in the first round to the eventual winner, Dennis Condrey & Phil Hickerson. - AWA Southern Tag-Team Title Tournament (October 9, '78) = Dundee & Jimmy Valiant took down Jos LeDuc & the Mongolian Stomper and Don Fargo & Nelson Royal, then lost in the finals to the Bounty Hunters. - AWA Southern Tag-Team Title Tournament (March/April '80) = Dundee & Ricky Morton lost in the first round to Dennis Condrey & David Schultz, who went on to win the tournament. - Mid-South Tag-Team Tournament (August 6, '84) = Dundee & Dutch Mantel took down the Nightmares, then fell to King Kong Bundy & Rick Rude. Jerry Lawler & Jimmy Valiant won the tournament. - NWA 1st Annual Jim Crockett Sr Memorial Tag-Team Tournament Cup (April 19, '86) = Dundee & Buddy Landel lost in the first round to Terry Taylor & Steve Williams. The Road Warriors won the tournament. - Mid-South Tag-Team Tournament (May 12, '86) = Dundee & Buddy Landel beat Billy Joe Travis & Giant Hillbilly and Jeff Jarrett & Tojo Yamamoto, then lost in the finals to Austin Idol & Jerry Lawler. 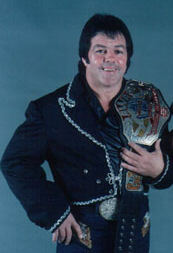 - AWA Southern Title Tournament (June 16, '86) = Dundee and Jerry Lawler fought to a No-Contest. Buddy Landell won the tournament. - NWA Starrcade '86 (November 27) = Dundee lost, via DQ, to the NWA Central States Heavyweight Champion, Sam Houston. - NWA 2nd Annual Jim Crockett Sr Memorial Tag-Team Tournament Cup (April '87) = Dundee & the Barbarian defeated Tim Horner & Mike Rotunda, then fell to the eventual winners, Nikita Koloff & Dusty Rhodes. - AWA Southern Tag-Team Title Tournament (June 8, '87) = Dundee & Jerry Lawler lost in the first round to Phil Hickerson & Mr. Shima. Mark Starr & Billy Travis won the tournament. - AWA Southern Tag-Team Title Tournament (July 11, '87) = Dundee & Rocky Johnson beat Don Bass & Brickhouse Brown, then fell to Paul Diamond & Pat Tanaka. Jeff Jarrett & Billy Joe Travis won the tournament. 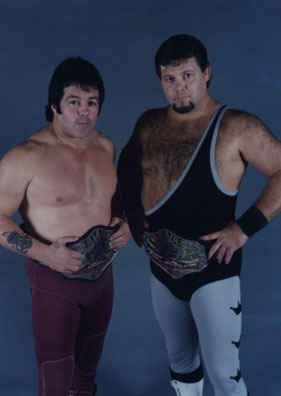 - CWA Tag-Team Title Tournament (February 1, '88) = Dundee & Jerry Lawler beat Don Bass & Carl Fergie, then fell to Jeff Jarrett & Manny Fernandez. Max Pain & Gary Young won the tournament. - USWA Star Wars '91 (September 2) = Dundee lost the USWA Junior Heavyweight Title to Danny Davis. - Memphis Memories II (June 10, '95) = Dundee & Brian Christopher were beaten by Doug Gilbert & Tommy Rich in the Best of Memphis Tag-Team Tournament. The Fabulous Ones won the tournament. - Mid-South Clash of the Legends (June 15, '01) = Dundee & Robert Gibson won over the Galaxians. - Mid-South A Fight For A King (November 29, '03) = Dundee lost a "Scaffold" Match to Kevin White. - Memphis Southern Title Tournament (February/March '04) = Dundee beat Dustin Starr, Kevin White, and Jerry Lawler, then lost in the finals to King Mabel. - Mid-South Memphis Slam Jam (April 23, '04) = Dundee won a "Lumberjack" Match over Doug Gilbert. - Mid-South Throwback Night (July 10, '04) = Dundee lost, via DQ, to the XWF Cruiserweight Champion, Kid Kash. - Mid-South Throwback Night II (August 28, '04) = Dundee & Kevin White lost to Koko B. Ware & Kamala. - Mid-South Throwback Night III (October 30, '04) = Dundee pinned Kid Kash. - Mid-South Throwback Night IV (December 26, '04) = Dundee & Kevin White lost a "Triple Threat" Match to Too Cool II. Nicholas Doom & Mordecai were the other participants. - Mid-South Throwback Night V (February 26, '05) = Dundee took down Simon Dean. Later on, Dundee, King Mabel, Corey Maclin, Chris Michaels, Kevin White, & Too Cool II defeated Masked Doom, Nicholas Doom, Jamie Dundee, Reggie B. Fine, Jimmy Hart, Jerry Lawler, & Mordecai.